The editors of The New Republic are wiser than they know in trying to keep their distance from the Zuccotti Park protesters. In their zeal to recapture the spirit of the 1960s, the Occupy Wall Streeters are replicating the very processes that produced the current crack-up of liberalism. But if the editors arrived at the right conclusion, they came to it by a false path, one which has produced a fundamental misunderstanding of the history of American liberalism. The core of the TNR editorial lays out what in principle is an honorable and essential difference between liberals and radicals. Unlike radicals, “liberals,” says TNR “are capitalists.” But that underlying premise of the editorial is belied by the historical record. Herbert Croly, the founder of TNR, understood himself as a radical for whom the use of the then uncommon term “liberal” was merely a euphemism for an American sort of socialism. Croly spoke of his seminal book, The Promise of American Life—the founding document of American liberalism—as “socialistic.” It’s true that it was only in the 1930s that many at TNR openly referred to themselves as socialists. But looking back, in 1931, Edmund Wilson argued strongly for liberals to give up Croly's "gradual and natural approximation to socialism" and to embrace socialism openly. The period from roughly 1950 to 1970 was the anomaly. It took the concussive effects of the Communist conquest of Eastern Europe in the wake of World War Two to temporarily pull liberalism off its socialist path. The radicals of the 1960s deployed their justified opposition to the Vietnam War to blind themselves to the consequences and meaning of statism and Stalinism. Their aggressively willed ignorance produced the 1972 McGovern platform which re-wrote the traditional program of the European socialist parties in the American language of rights. Employment, educational quality, and housing were to become matters of right subject to the power of judicially supervised bureaucracies. Since then the distinction between liberalism and anti-capitalist radicalism has been continuously effaced by the rise of a vast regulatory state staffed, in part, by public sector unionists. Statism in America eschewed a European-style ownership of the means of production. Rather its aim has been, in the name of good and defensible causes such as a cleaner environment, to run as much of the economy as possible through government, directly and indirectly. The upshot is that the American percentage of GDP devoted to government has reached European levels. And by and large liberals approve of this trend. According to a February 2010 Gallup survey, 53 percent of Democrats and 61 percent of liberals have a positive image of socialism. The Gallup findings were backed up by a December 2010 Rasmussen survey which found that 42 percent of Democrats—the people whom former Presidential candidate Howard Dean described as “The Democratic Wing of the Democratic Party”—think that the government should manage the economy completely. The New Republic of the early 1980s saw the dangers of this trend. In a notable pre-mortem on the 1980 election it wrote that this sort of legalitarian liberalism would produce the “narcissism of individuals and groups swollen into ideological authoritarianism.” But with the partial exception of Bill Clinton, whose reinventing government efforts thinned the ranks of the federal government’s middle managers, the McGovern demands have been the platform of every Democratic presidential candidate since 1972. The supposedly anti-authoritarian 68ers helped create a more cumbersome and bureaucratic government in the name of protecting newly minted rights. That affinity is being recreated in Zuccotti Park. It’s not just that the Occupy Wall Streeters are filled with hopes of recreating the spirit of the 60s. It’s that they are literally recreating the follies of the 60s in miniature. Like their 1960s predecessors, they're chasing their tails trying to imagine procedural reforms that will allow the demonstrators to govern themselves, while also curbing the power of those greedy capitalists. Nick Pinto of The Village Voice found it “amazing to watch a bureaucracy being born,” as he observed the creation of one of the fifty committees called upon to govern the Zuccotti Park occupation. There are committees dedicated to managing, food, internet access, the park’s library, artists and culture, finance, outreach, site planning, graphic design, direct action, and sanitation (although the working chair of that last group acknowledges that “a lot people are dirty and don’t mind.”) Intensely self-conscious, there are information and media committees as well as an Occupy Wall Street Journal, an OWS TV group, and even an OWS archive. Like their putative enemies on Wall Street, the OWS lawyers gamed the rules to achieve their success. In this case they were able to set up their semi-permanent site by gaming the bylaws governing Zuccotti Park, land privately owned by the Brookfield Corporation. 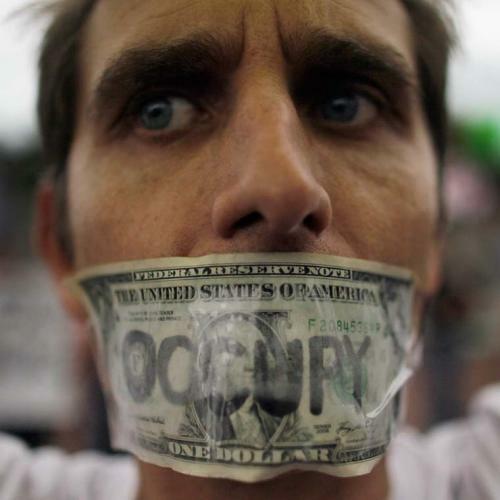 Like the Wall Street bankers they disdain, the Occupy Wall Streeters—who, judging from my conversations with them, seem to work primarily in the media world of PR, party planning, and personal services—show little of the self-restraint necessary for self-government or productive participation in the economy. What they have in common with the bankers is that they all work in abstractions, as opposed to practical problems. The public relations instincts of the protesters, however, have been shrewd. The McGovernites used Vietnam as a political wedge to discredit their opponents. The OWSers want to use Wall Street for their same purposes. We are, as Joel Kotkin notes, in the midst of the most undemocratic economic recovery in American history. Wall Street, which is now largely detached from the overall economy, has recovered thanks to subsidies from the Federal Reserve, while the public faces the prospects of a lost decade. Thanks to the Bush and Obama administrations, Wall Street hasn’t been forced to pay the price for its misdeeds. But when I asked some of the Zuccotti Parkers about the politics of government-sponsored Fannie Mae and Freddy Mae, two of the prime players in producing the economic bubble, the question drew either blank stares or “I’ve heard of them” and little more. Though well aware of the corrupting effect Wall Street has had on Washington, most of the protesters, it seems, don’t grasp the two-way nature of crony capitalism. Like their McGovernite forbearers, the OWS movement, though chary till now of making explicit demands, insists that key elements of the economy, from housing to health to college tuition, ought to be provided as a matter of right, and free of charge. But whereas some of their precursors knew something of the courts and judiciary because of their key role in advancing civil rights, these epigones seem to think of government as a black box: You put your wishes in at one end and a smoothly running government bureaucracy fulfills those wishes at the other end. Some of the protesters seem aware of the very reasonable Volcker rule to keep banking operations and proprietary trading by financial firms separate. What they don’t seem aware of are the 298 pages of explication to the straightforward rule, and the attendant difficulties of enforcing all of the exceptions to the rule, and the exceptions to the exceptions. In the wake of the debacle of the Carter presidency, TNR wrote that "The biggest challenge for the Democratic party ... is to make good intentions marketable again." That’s true again today. That’s why the biggest problem posed by the Zuccotti Parkers wearing their Che Guevara t-shirts is not that they invited left-over Leninists such as Slavoj Zizek and Naomi Klein to address them. Rather it’s that the protesters, oblivious to our national debt, disregard the understandable disdain with which most Americans currently view the federal government. The denizens of Zuccotti Park seem hell bent on further expanding the bureaucratic black box when the job at hand is to it open it up so that it can be right sized and reorganized. Fred Siegel, a Scholar in Residence at St Francis College, Brooklyn and a contributing editor to the Manhattan Institute’s City Journal, is working on a book about American liberalism.